We are always looking for the perfect relationship. The goal is to find that perfect someone who will make our lives a better place to be. It is unfortunate that we do not realize perfection runs two ways. In order to find that perfect somebody, we must believe that, whatever perfect is, we have already achieved it. No one can give us what we don't already have. Mr. or Ms. Right cannot be to us what we are not. If we are unhappy, unfulfilled, not pleased about who we are ~ we owe it to ourselves to stop looking. We have to ask ourselves: Would I marry me? Am I doing my best, giving my all, being the best I can be to myself? If not, why are we pawning ourselves off on someone else? We need to take time to do some homework on self-love, self-esteem, and self-confidence. When we can pass the test of self-acceptance, the perfect someone who will compliment all that we already are will walk right through the door. 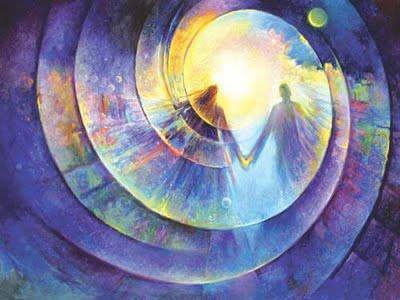 ~ The love and harmony within me reaches out and attracts the right someone.